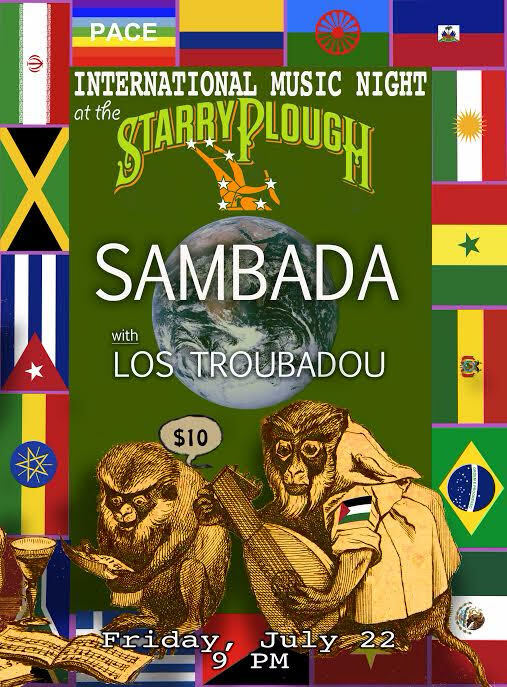 Sambada + Los Troubadoux = World Music Dance Party! SambaDá is happy to be playing at The Starry Plough, a full service restaurant, pub and nightclub that has been a staple of the East Bay scene since 1973.
songs in French, Spanish, English, Portuguese and Italian !!!! Save the date and bring your dancing shoes !!! Support Local Artists and live music !